Dharamshala: TibetPost-13-February-09-The US secretary of state, Mrs. Hillary Clinton, will make her first trip abroad to China and three other Asian nations. The Human Rights groups, press freedom watches and Tibetan activists have been sent an open letter to Mrs. Clinton to discuss human rights and the Tibet issue with Chinese authorities during her visits in China. The letter said, "As you prepare to make your first trip to the People's Republic of China as Secretary of State, our organizations strongly urge you to make human rights issues a prominent topic in your public and private discussions with the Chinese leadership and people. "Your visit will set the tone for the US-China relationship in the new Obama administration. This will be the crucial moment to signal to the Chinese government that the quality of its relationship with the United States will depend in part on whether it lives by universally accepted human rights norms in its domestic and foreign policies. Sending such a signal in Beijing will be especially important given the United States' unfortunate absence from China's Universal Periodic Review on February 9 at the UN Human Rights Council in Geneva. Most important, the Obama administration has pledged to return the United States to a position of leadership in defending human rights; doing so with a rising power such as China will be a key test of that commitment, it continued. "Thirteen years ago in Beijing, you spoke eloquently about the duty of all governments to respect the fundamental human rights of women and men. Respect for human rights, you said, means "not taking citizens away from their loved ones and jailing them, mistreating them, or denying them their freedom or dignity because of the peaceful expression of their ideas and opinions." The open letter from the groups including Reporters Without Borders and Amnesty International said, "The advancement of human rights in, and with, China is arguably more central to US interests than ever before. Press censorship in China makes it possible for toxic food and public health crises to spread globally. Suppression of dissent removes internal checks against environmental damage that has global impact. Abuses of low-wage labor implicate international firms operating inside China and compromise goods that come into the US. The government's control of mass media and the internet allow it to stoke nationalist anger against the United States in moments of crisis. The export from China of internet-censoring technologies and its provision of unconditional aid to repressive regimes increases the US's burdens in fighting censorship and human rights crises worldwide. "As much as the Chinese government appears to resist outside pressure to improve its record, experience suggests that it does respond to such pressure. American interventions on behalf of jailed government critic Hu Jia contributed to his being moved to a prison closer to his family; sustained international pressure on the Chinese government to permanently relax rules on foreign journalists in China resulted in success. Ordinary people in China will also appreciate hearing the United States raise human rights issues in ways that echo their own day to day concerns about rule of law and government accountability. And we urge that you be mindful of the converse: that the Chinese government and people take careful note when the US is silent." * Tibet and Xinjiang. Tibetans and Uighurs continue to suffer indiscriminate crackdowns on their rights, typically on the grounds that their peaceful calls for genuine autonomy are in fact a cover for "separatist activity." You should press Beijing to end the criminalization of peaceful advocacy in and to engage in constructive dialogue over the future of both regions. * Torture. As documented most recently by the United Nations Committee Against Torture's review of China, police torture remains a serious problem, yet evidence obtained through torture is routinely admitted in Chinese courts. You should urge Beijing to alter this policy, and put in place mechanisms whereby alleged incidents of torture are consistently and impartially investigated and evidence procured through torture excluded. * Censorship of the domestic press. The Chinese government continues to strictly control Chinese journalists; at least 26 remain in prison due to their work, many on ambiguous charges including "revealing state secrets" and "inciting subversion." You should urge the Chinese government to cease its widespread media and internet censorship, and fully honor its obligation to guarantee freedom of expression, information, and freedom of the press under Article 35 of the Constitution and international standards. * Abuses of human rights defenders, including Huang Qi and Liu Xiaobo. Rather than embrace those who urge greater rights protections, the Chinese government continues to persecute those who publicly criticize it. Veteran dissident Huang Qi faces a possible three year prison term as he reportedly faces trial in Sichuan on charges of "possessing state secrets," in a prosecution linked to his investigation of poorly constructed schools destroyed in the May 2008 earthquake. Writer Liu Xiaobo, a veteran of the 1989 Tiananmen Square protests, has now been held by Chinese police since December 2008 for his involvement in organizing Charter 08, a petition calling for greater respect for human rights and democracy in China. * The use of extrajudicial forms of detention. Chinese police continue to make frequent use of house arrest, residential surveillance, and administrative detention. There is no basis for these tactics in Chinese law, and you should urge the Chinese government to publicly eschew further use of them. We strongly urge that you raise these issues early in your tenure as Secretary. We are acutely aware that the US's agenda with China is a broad one, but we believe that the desired economic, security, and diplomatic progress can be reinforced through more vigorous and public defense of human rights. Dharamshala: Secretary of State Hillary Rodham Clinton will discuss the issue of Tibet and human rights during her visit to Beijing later this month, the State Department has said. "The subjects of human rights and Tibet always come up in conversations with our Chinese counterparts, because human rights are a very important issue for the US. So I would suspect that those issues could very well come up," State Department spokesperson, Robert Wood, told reporters after announcing about Clinton's Asia trip. In her first trip abroad since taking office, Secretary of State Clinton will visit Japan, Indonesia, South Korea and China from 16 to 22 February. Clinton will visit China from 20 - 22 February. "In all capitals, the Secretary will be discussing common approaches to the challenges facing the international community, including the financial markets turmoil, humanitarian issues, security and climate change," Mr Wood said. Referring to the recent statement of Clinton that relationship with China is important for the US; Wood said the State Department will have an important role in engaging China. So far it is the Treasury Department which has had the lead role in US-China relationship, he said. "There are a number of humanitarian issues around the world that we're concerned about. And the Chinese are a major global player, and we want to see how we can partner with the Chinese to try and help resolve some of these horrible and horrific humanitarian situations we have â€“ we're dealing with around the global," Wood said on human rights issues. Clinton will meet senior Chinese officials to develop a positive cooperative relationship between the two countries, he said. WHAT IS TIBETAN NUNS PROJECT? Tibetan Nuns Project (TNP) was founded in 1987 to provide education and humanitarian aid to refugee nuns from Tibet and the Himalayan regions of India. Tibetan Nuns Project began when a group of 66 nuns appeared in Dharamsala, India. The 66 women had walked across the Himalayas from eastern Tibet to His Holiness the Dalai Lama's newly adopted homeland in northern India. They knew no one and were exhausted and ill. They wearily camped out in downtown Dharmsala, hoping their long journey was near the end. Give a whole classroom of Tibetan schoolchildren back their heritage, and a chance to learn in their native Tibetan language! The Chinese public school system in the autonomous region of Tibet is struggling to serve its students well. Classrooms, school supplies and well-trained teachers are scarce, and educational materials written in the students' native Tibetan language are nonexistent. Classes and materials are provided in Mandarin Chinese and do not include any hint of the students' own cultural heritage. Now you can help protect, preserve, and pass along this gorgeous, rich cultural heritage to the children of Tibet! Tibetan Healing Fund (THF) is working with local education bureaus, school principals and teachers to create Tibetan language texts for primary and middle schools. These children's books, written in Tibetan, are not only based on Tibetan folklore, but also provide regional geography, local customs, culture and art, biographies of well-known scholars, life skills, and significant historical events and places. The Tibetan Heritage Primers represent the first time anything of this nature has been complied for the Tibetan community and its children. Tibetan Heritage Primer Textbooks will be distributed and available to 196 Tibetan primary schools and approximately 27,000 children in three different counties: Tunde, Trika, and Repkong, in Qinghai Province. Somehow, just somehow, I doubt she cares about human rights issues, considering that she continues to support wars over oil and opium.. and in the bigger picture, wars that will lead to a New World Order enslavement system. It's all a big show. Even if our "leaders" cared, which I doubt, we wouldn't dare to upset our owners, the Chinese. That is a big deal and i am still bewildered as to why she did that. Normally a Sec. of State would be sent directly to London, France and Israel. I guess we'll find out soon. BTW - i also though it was interesting that Europe had a near meltdown yesterday, right after Hillary bypassed them and went to speak with the Asians. Is this going to be AAFTA? Or are they intentionally collapsing Europe?. Like I said, The Chinese own us now, so we have to give them their props. China is on the verge of complete collapse. They really dont own any thing ...... infact if they decided to dump our currency their country would completely collapse overnight. They were tricked big time, they depend on their Export Market for survival and the US is their #2 Customer. Inside of the card is blank, but features a strand of miniature prayer flags strung from corner to corner. Skilled Tibetan artisans, trained in traditional papermaking techniques, have created each card using handmade paper from the bark of the Himalayan lokta or daphne tree. Bark is sustainably harvested, thus helping to maintain Nepal's fragile ecology while generating much-needed income for rural farmers and artisans. Set of 4 cards. Each card comes with a bookmark containing information on the history of prayer flags and the artisan group that made the cards. Cards measure approximately 5" W x 7" T (12.7 x 17.8 cm). Envelopes included. Made in and fairly traded from Nepal. The Hunger Site will fund 25.0 cups of food for each set of 3 Tibetan Nun Windhorse Prayer Flag strands purchased. The word Dropenling is a Tibetan word meaning "giving back for the betterment of all mankind." Dropenling handicraft Development center is dedicated to improving the lives of Tibetan Artisans throughout Tibet by selling only unique, high quality handicrafts made in Tibet, by Tibetans. All profits from Dropenling are returned to the artisans community in order to improve their working conditions and livelihood. The world is truly surprised that Communist China is now citing remarks from their hated enemy, Chiang kai-Shek, to support Chinaâ€™s claim to Tibet. Who knows what is next, transforming Chiang into a new hero of the Communist world? Peaceful protests in Lhasa, Tibet turned violent this weekend, as Chinese forces cracked down on monks and civilians who were marking the anniversary of a failed uprising in 1959. Reports say at least 100 people were killed in the clashes. The Chinese government does not want to appear weak by not reacting to the protests. Beijing has now given the Tibetan protesters till Monday to surrender. ''Fighting, looting, burning - these actions destroy the stability of society. These events can be described as an organised and planned plot. We are very determined to denounce this separatist activity, and the plot will not be successful,'' said Champa Phuntsok, Chairman, Tibetan Government. Democratic Presidential candidate Hillary Clinton released a statement today calling for an end to the violence. Full text of the statement after the jump. The large-scale riots in the Tibetan capital of Lhasa on Friday were sparked off when an armored vehicle was driven into the crowd, according to a Tibetan man who talked to The Yomiuri Shimbun by telephone. The man said a work colleague had seen a green armored vehicle plow into the crowd, running people over, at about 3 p.m. Friday. The vehicle was one of four deployed near the Golden Valley Hotel, west of Jokhang Temple, the man said. Military trucks were later used to haul off more than 100 people, he said. Afterwards, angry Tibetans attacked ethnic Chinese and set fire to their stores, he said. According to the Tibetan, he was not able to venture outside his home because vehicles driven by public safety officers were patrolling the streets, and armed police officers were present at street crossings. "I am deeply concerned about the violent clashes that have erupted in Lhasa, Tibet. Based on the limited information available, there is an urgent need for all parties, and in particular the Chinese security forces, to exercise restraint, to demonstrate respect for human rights and to protect civilians from danger. I call on the Chinese government to prevent further escalation of this conflict and to urgently pursue resolution through peaceful means. "I co-sponsored the Fourteenth Dalai Lama Congressional Gold Medal Act and co-sponsored the Tibetan Policy Act of 2001, supporting a dialogue between the People's Republic of China and the Dalai Lama. I have personally met with the Dalai Lama. I asked President Jiang Zemin to explain China's repression of the Tibetans and their religion during his 1997 state visit to the United States. More than 10 years later, Chinese repression in Tibet continues. This week, Tibetan monks have sent a message to the world that their aspirations for religious liberty remain as strong as ever. "Upholding freedom and human rights in Tibet will happen through negotiation, and with a commitment on all sides to seeking constructive solutions for the benefit, above all, of the Tibetan people." "I am deeply disturbed by reports of a crackdown and arrests ordered by Chinese authorities in the wake of peaceful protests by Tibetan Buddhist monks," the Illinois senator said in a statement late Friday. "I condemn the use of violence to put down peaceful protests, and call on the Chinese government to respect the basic human rights of the people of Tibet, and to account for the whereabouts of detained Buddhist monks." Obama said the protests, which Tibet's government-in-exile in India said had resulted in 30 deaths, "demonstrate the continuing frustration of the Tibetan people at the way in which Beijing has ruled Tibet." He said this year's Olympics in Beijing are an opportunity for China to demonstrate its progress. "But the events in Tibet these last few days unfortunately show a different face of China," said Obama, who is vying for the Democratic party's presidential nomination against rival Senator Hillary Clinton. "Now is the time for Beijing to take steps that would change the image people have of China later this year by changing the reality of how they treat Tibet and Tibetans. Now is the time to respect the human rights and religious freedom of the people of Tibet." "But our pressing on those issues can't interfere on the global economic crisis, the global climate change crisis and the security crisis," Clinton told reporters in Seoul just before leaving for Beijing. T. Kumar of Amnesty International USA said the global rights lobby was "shocked and extremely disappointed" by Clinton's remarks. "The United States is one of the only countries that can meaningfully stand up to China on human rights issues," he said. "But by commenting that human rights will not interfere with other priorities, Secretary Clinton damages future US initiatives to protect those rights in China," he said. Students for a Free Tibet said Clinton's remarks sent the wrong signal to China at a sensitive time. "The US government cannot afford to let Beijing set the agenda," said Tenzin Dorjee, deputy director of the New York-based advocacy group. China has been pouring troops into the Himalayan territory ahead of next month's 50th anniversary of the uprising that sent Tibet's spiritual leader the Dalai Lama into exile in India. "Leaders really need to step up and pressure China. It's often easy to wonder whether pressure makes a difference. It may not make a difference in one day or one month, but it would be visible after some years," Dorjee said. Before she left, State Department spokesman Robert Wood said human rights would be "an important issue" for Clinton and that she would "raise the issue when appropriate." China has greeted President Barack Obama's administration nervously, believing he would press Beijing harder on human rights and trade issues than former president George W. Bush. AUSTRALIA â€” The Sydney Morning Herald, (Feb. 21): Amnesty International and a pro-Tibet group voiced shock after U.S. secretary of state Hillary Clinton vowed not to let human rights concerns hinder cooperation with China. â€¦ "The U.S. government cannot afford to let Beijing set the agenda," said Tenzin Dorjee, deputy director of the New York-based advocacy group. â€¦ China has been pouring troops into the Himalayan territory ahead of next month's 50th anniversary of the uprising that sent Tibet's spiritual leader the Dalai Lama into exile in India. 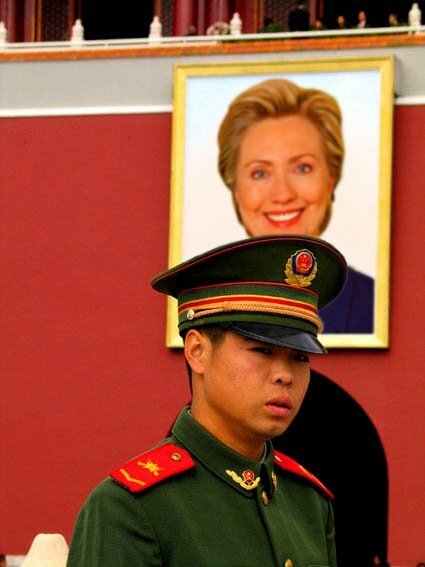 â€¦ Amnesty International and Human Rights Watch had sent a letter to Clinton before her maiden Asia visit urging her to raise human rights concerns with Chinese leaders. Before she left, State Department spokesman Robert Wood said human rights would be "an important issue" for Clinton and that she would "raise the issue when appropriate." BEIJING: Chinese officials have significantly increased security forces across Tibet in the face of a grass-roots movement to boycott festivities during the coming Tibetan New Year, according to residents of the region and recent visitors. The movement aims to use the holiday period to mourn Tibetans who were killed during the government crackdown last March and express concern for those arrested or tortured. With the holiday beginning next Wednesday, the increased forces have been seen in at least four crucial areas of the vast Tibetan region: Lhasa, the capital; Xiahe, a town in Gansu Province that is home to a large and restive Buddhist monastery; Tongren, a monastery town in Qinghai Province; and Lithang, a town in Sichuan Province that has been locked down this week. The problems in Lithang stemmed from a single person's protest on Sunday, according to residents and the Free Tibet Campaign, an advocacy group in London. A monk, Lobsang Lhundup, 37, shouted slogans from a street corner supporting the Dalai Lama and calling for a New Year's boycott, the group said. The next day, hundreds of Tibetans took to the streets to demand the monk's release; riot police officers broke up the protest and arrested about 20 people. On Tuesday the government ordered shops and hotels to shut down for three days, several residents said by telephone. A young woman, who asked not to be named for her safety, said, "Shops have all closed, and people do not dare to go out." Local security officers declined to comment when asked about the episode over the telephone. The campaign for the boycott of Losar, the Tibetan New Year, has spread via text and e-mail messages and fliers. Last March, Tibetans angry over China's policies in Tibet and the suppression of peaceful protests rioted in Lhasa, leading to the deaths of at least 18 civilians and one police officer, and widespread damage, according to Xinhua, the official news agency. Protests flared up in other regions, and exile groups said hundreds of Tibetans were killed in the ensuing crackdown. The call for a boycott began several months ago and has gained traction among younger Tibetans as well as intellectuals and dissidents. It has been endorsed by overseas Tibetans, including the government in exile in Dharamsala, India. "It's deeply connected with Tibetan culture, the idea that after such a horrible year filled with death, how can we celebrate?" Woeser, a popular Tibetan blogger, said in an interview. "Instead, it should be a memorial." The Chinese government is also fearful of unrest in the region next month, on the 50th anniversary of the Dalai Lama's flight to exile in India after a failed rebellion against Chinese control, a date of great moment to Tibetans. The Dalai Lama, revered by many Tibetans, advocates greater autonomy for Tibet. But the Chinese government vilifies him as a "splittist" and says he ruled over a feudal, slave-holding society. In a move that antagonized many Tibetans, this winter the government declared March 28 to be Serf Emancipation Day. In an article published Thursday in Tibet Daily, an official newspaper, a senior Communist Party official in Tibet, Lobsang Gyaincain, warned monks and nuns to refrain from any political activity. The issue of Tibet is already emerging as a delicate one between the Obama administration and Beijing. Secretary of State Hillary Rodham Clinton, who is scheduled to visit China this week, said in a speech before the trip that Beijing should ensure religious freedom for Tibetans. Foreign reporters are not allowed to visit Lhasa and central Tibet unless invited by the Chinese government. A Chinese Foreign Ministry spokeswoman said last week that "the situation in Tibet is stable." But a monk from Lhasa, reached by phone, said, "There are a lot of soldiers and People's Armed Police in the streets," referring to China's main paramilitary force. Like almost all the people interviewed for this article, the monk agreed to speak only on the condition of anonymity for fear of government reprisals. The monk said he, like thousands of other monks, had not been allowed to return to his monastery after being imprisoned for several months last year after the March uprising. Many of the main monasteries are being emptied out, he said. There are only about 400 monks now in the Drepung Monastery in Lhasa, he said, a fraction of the number before the uprising. The monks are still being forced to take "patriotic education" classes that have been going on in many monasteries since the March protests, he added. As a result, the monks study Chinese law rather than Buddhist scriptures and are told to denounce the Dalai Lama. Monks no longer in the monasteries are barred from wearing their robes in public, the monk said, and the police check on the monks at home, at times hauling some off to prison. The monk said Tibetan police officers came to his home three times a month. The monk said many Tibetans in Lhasa were talking of joining the boycott. But he said that Chinese officials were urging the Tibetans to carry on with festivities and were even offering them money to do so. In Gansu Province, the authorities have declared the town of Xiahe, the site of the Labrang Monastery, off-limits to foreigners. Labrang is considered one of the greatest centers of learning in the Tibetan world, and it was a focal point of protests last year. A local tourism official said the area around Labrang was closed to foreigners until late March. Two French television journalists who secretly stayed in the town briefly in early February said they had to sneak past two checkpoints. They said they saw soldiers, police officers and paramilitary troops everywhere. "There was an open plaza, and it was full of People's Armed Police with black uniforms, helmets and shields," said one, Charlotte Cailliez. "On the main street, there were police cars going back and forth." To the west, in the town of Tongren, known to Tibetans as Rebkong, police officers and paramilitary forces were scarce during the day but came out in force at night, said a local Tibetan man. There, the call for a boycott on festivities not only pertains to Losar, but also included the recent Chinese New Year, which many Tibetans in Rebkong celebrated in past years. Normally, the town would convulse in singing, dancing and pyrotechnics during the holiday. But this year, virtually no Tibetans participated. Local officials handed out hundreds of dollars to people to buy fireworks, he said. 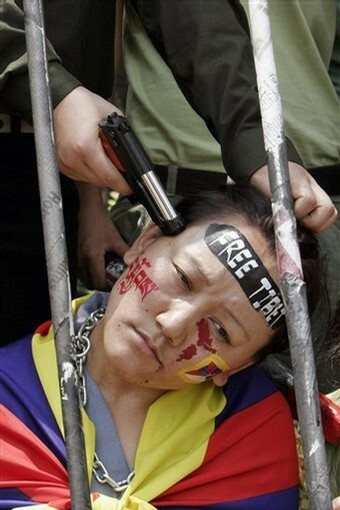 But the Tibetans practiced restraint. In the main temple compound, he said, worshipers lighted yak butter lamps, and "the mood was very, very quiet and solemn." Michael Wines and Jonathan Ansfield contributed reporting. Small & Singer say that China lost 40,000 soldiers in Tibet between 1956 and '59. On Tuesday's 50th anniversary of the Tibetan uprising, the Dalai Lama called the Chinese control of his former homeland "hell on earth." But almost a decade before that ill-fated 1959 rebellion against China's powerful military, one that ultimately drove the young 14th Dalai Lama into exile, Canada's then-External Affairs department essentially concluded the Chinese incursion was a violation Tibet's nationhood. "The question is, should Canada consider Tibet to be an independent state, a vassal of China, or an integral portion of China. It is submitted that the Chinese claim to sovereignty over Tibet is not well-founded," says the Nov. 21, 1950, legal opinion by External Affairs, which has since been declassified. The opinion, stamped "confidential" at the time, was circulated to Canada's embassy in Washington and its mission at the United Nations in New York. The collection of diplomatic cables and memorandums, spanning the Second World War to the 1960s, has since been released by the National Archives. It offers a unique historical glimpse into Canada's connection to the Tibetan problem that simmers to this day. "Canada has serious concerns about the human-rights situation in China, including in Tibet, and raises these concerns with the Chinese government at every appropriate opportunity," Foreign Affairs Minister Lawrence Cannon told Canwest News Service on Tuesday in an e-mailed statement. "Canada regularly calls on the Government of China to respect the right of Tibetans to protest peacefully, and to take steps to improve the human-rights situation in Tibet. "Canada has consistently advocated substantive dialogue between the People's Republic of China and the Dalai Lama, or his designated representatives." Tuesday's anniversary was marked by pro-Tibetan rallies and protests in Canadian cities, and dozens more across the globe, in addition to the Dalai Lama's own statement. In Tibet, under the watchful eye of a massive security force, the anniversary passed without reports of the kinds of demonstrations that developed into riots last year and left scores of people dead and wounded. The Chinese claim 20 died at the hands of protesters in 2008, but Tibetan and human-rights groups say 200 Tibetans were killed and 1,200 Tibetans from three Chinese provinces remain missing. Foreign journalists are banned from the Tibetan plateau area, but Xinhua reported only one incident late Monday night in the Tibetan area of Qinghai Province where a police car and fire truck were destroyed by homemade explosives. The news agency's summary of the day's events in Lhasa said: "The holy city of Lhasa was quiet and peaceful Tuesday, the day marking 50 years since Tibet's democratic reform." Tibet's exiled leaders say at least 200 Tibetans have been killed since a Chinese military crackdown on dissent that arose last March in Tibet. China beefed up its military presence in the region in anticipation of Tuesday's anniversary, while barring Western media from visiting Tibet. China's military annexed Tibet in 1950, saying they were liberating the Tibetans from feudal serfdom. Today, the Chinese Communist government has all but vilified the Dalai Lama, branding him a separatist agitator. Speaking to thousands of his supporters from Dharamsala, the Indian town that houses Tibet's government in exile, Tibet's 73-year-old spiritual leader renewed his call Tuesday for China to recognize "legitimate and meaningful autonomy" for Tibet as he characterized the decades of suffering as "hell on earth" for the people there. Looking ahead, the Dalai Lama's envoy to the United States told Canwest News Service the world will be hearing a lot more from the spiritual leader in the months to come, including a trip to Canada in September that will take him to Montreal, Vancouver and Calgary. "He will continue to shoulder the major responsibility," Lobsang Nyandak, the Dalai Lama's New York-based envoy, said in a recent interview. "For the last 50 years, we have been receiving international support and concern. That was the highest last year, when there was a crackdown in Tibet. Despite the international community's support, the Chinese government continued to suppress the Tibetan people." Nyandak disputed the Chinese government's characterization of the Dalai Lama as a separatist who wants to divide China. He accused Beijing of thwarting all recent attempts at meaningful negotiations to resolve the Tibet problem by imposing untenable preconditions. "For example, having the Dalai Lama recognize that Tibet has always been a part of China . . . the Dalai Lama has said many times that he cannot tell lies or rewrite the history of Tibet." In 1950, Canada's External Affairs department reached the legal conclusion that Tibet had demonstrated its historical independence from China. "Chinese suzerainty, perhaps existent, though ill-defined, before 1911, appears since then, on the basis of facts available to us, to have been a mere fiction," the document concluded. "In fact, it appears that, during the past 40 years, Tibet has controlled its own internal and external affairs. Viewing the situation thus, I am of the opinion that Tibet is, from the point of view of international law, qualified for recognition as an independent state." "Fifty years ago, the central government of China foiled the armed rebellion started on March 10 by the Dalai Lama and his supporters to block the reform of feudal serfdom in Tibet and split the region from China. . . . The Dalai Lama and his followers, since their exile, have continued to pursue either disguised on undisguised activities to separate Tibet from China and restore feudal serfdom in the region." In October 2007, Prime Minister Stephen Harper hosted the Dalai Lama on Parliament Hill in Ottawa, the first time a Canadian leader met him in an official venue. Three years earlier, then-prime minister Paul Martin hosted the Dalai Lama at the Ottawa home of the Roman Catholic Archbishop. The Chinese Embassy in Ottawa denounced Harper's decision. On Tuesday, Cannon also called on China "to grant access to all international observers (diplomats, journalists) and UN representatives to the Tibetan Autonomous Region." The U.S. state of Washington and the city of Seattle have declared March 10th "Tibet Day" to commemorate the 50th anniversary of a Tibetan uprising against Chinese rule. Governor Christine Gregoire noted that Washington was the first state to receive Tibetan immigrants and praised Tibetan-Americans for their contributions to the social, artistic and economic vitality of her state and the Pacific Northwest. Seattle Mayor Greg Nickels hailed the roles of the Tibetan community in shaping the city's history, economy and culture by sharing their values and tradition of freedom, ingenuity and community service. The Chinese government has set up March 28th to celebrate what it calls the 50th anniversary of the emancipation of serfs and slaves in Tibet. Exiles and activist groups say Chinese security forces have locked down Tibet and areas of western China that have Tibetan populations. March 10th, marks the anniversary of a 1959 Tibetan uprising that failed to oust Chinese rulers from the region. Tibetans and their supporters have held protests and prayers around the world to mark the 50th anniversary of a failed Tibetan uprising against Chinese rule. Hundreds of pro-Tibet activists in Australia's capital, Canberra, marched from Parliament House to the Chinese embassy to demand more freedom for Tibet. Police arrested four people who broke through fencing around a designated protest site. Several Australian lawmakers joined the march, including a ruling party member, Michael Danby, who said he ignored a letter from the Chinese ambassador asking him not to take part. In Nepal, hundreds of Tibetans held a mass prayer at a monastery near the capital, Kathmandu. Some shouted pro-Tibet slogans and scuffled with Nepalese police who were deployed at the site to prevent anti-China protests. Nepal's government said it also banned protests around the Chinese embassy to try to preserve friendly relations with Beijing. Nepal is home to thousands of Tibetan exiles, many of whom held daily anti-China protests last year that often led to violent confrontations with police. Taiwan's main opposition party organized a pro-Tibet rally in the southern city of Kaohsiung, where it controls the local government. The Democratic Progressive Party declared Tuesday "Tibet Day" to support what it regards as Tibet's struggle for freedom from Beijing. Pro-Tibet activists also held a candlelight vigil in Taiwan's capital, Taipei, in memory of Tibetans killed by Chinese security forces. Taiwan's Beijing-friendly government made no public comment on the anniversary of the Tibetan uprising. In other events marking the occasion, Buddhist monks in Japan prayed for peace in Tibet, while Czech Environment Minister Martin Bursik hoisted a Tibetan flag outside his office. The Czech Republic holds the rotating presidency of the European Union. U.S. lawmakers are scheduled to vote this week on a nonbinding resolution that calls for a multilateral effort to bring about a peaceful solution to the Tibet issue. 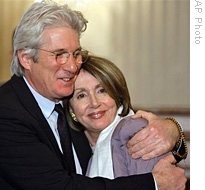 On Monday, U.S. House Speaker Nancy Pelosi told lawmakers gathered for a commemoration of the uprising that the human rights situation in Tibet deteriorated over the past year. China's foreign ministry urged U.S. lawmakers Tuesday not to pass the resolution, saying it opposes any country interfering in its internal affairs. China should end its "repression" of Tibet and work with the Dalai Lama 50 years after the revolt that forced him into exile, according to a resolution to be introduced in the US Congress on Monday. The US House of Representatives was to vote on the non-binding measure on Tuesday, amid concerns that the anniversary of the 1959 uprising could spark violence in the Himalayan locale. The measure, authored by Democratic Representative Rush Holt, praises Tibet's people, thanks India for helping refugees from its smaller neighbor, and urges US President Barack Obama to engage Beijing on the issue. The bill urges China to work with the Dalai Lama, Tibet's exiled spiritual leader, "to respond to the Dalai Lama?s initiatives to find a lasting solution to the Tibetan issue." It also says Beijing should "cease its repression of the Tibetan people, and to lift immediately the harsh policies imposed on Tibetans" like "detention and abuses of those freely expressing political views or relaying news about local conditions" as well as curbs on travel and other communications. The measure also urges Obama to use "diplomatic, programmatic, and multilateral resources to press the People?s Republic of China to respect the Tibetans? identity and the human rights of the Tibetan people." The bill praises Tibet's people "for their perseverance in face of hardship and adversity in Tibet and for creating a vibrant and democratic community in exile that sustains the Tibetan identity." And it "recognizes the government and people of India for their generosity toward the Tibetan refugee population for the last 50 years," according to text of a draft obtained from Holt's office. The 1959 uprising came nine years after communist Chinese troops moved into Tibet to "liberate" it from serfdom, but many Tibetans say this was an invasion and the start of widespread repression under Chinese rule. Tibet's government in exile says tens of thousands of Tibetans were "slaughtered" following the uprising, with more than 87,000 people dying between March and October of 1959 alone. But China denies this and says "rioters" were responsible for 21 deaths. The Dalai Lama, 73, who remains a revered figure for Tibetans, has warned in recent days that Chinese authorities are stepping up their repression, but urged his followers to follow his path of non-violence. Oh yes, we know Hillary C. cares for the Tibeten people and she will do everything in her swiss bank account's power to help out. Don't forget to buy more of those "Made in China" melomine death slave products. Four Tibetans have been sentenced to death for starting deadly fires during last year's unrest in Lhasa, according to China's state-run media. The first known death penalty cases in the region since 2002 were handed down yesterday by the Lhasa Municipal Intermediate People's Court. Tibetan exile groups have condemned the convictions, which they say are politically motivated and carried out without adequate legal safeguards. According to the Xinhua news agency, Lobsang Gyaltsen will be executed for arson attacks on two garment shops in central Lhasa on 14 March that killed a shop owner. The same sentence was handed down to Loyak for torching a motorcycle dealership in Deqen Township, which left five people dead, it said. Suspended death penalties were passed on an accomplice, Kangtsuk, and on Tenzin Phuntsok who reportedly confessed to starting a separate lethal fire. A fifth defendant is still being tried. "The three arson cases are among the crimes that led to the worst consequences in the 14 March riot," the court spokeseman was quoted by Xinhua as saying. "Their crimes incurred great losses to people's lives and property and severely undermine the social order, security and stability." "Today's report of the imposition of the death penalties in two cases is of huge concern in the light of evidence that has continued to emerge from Tibet since last year, which clearly shows that politically-motivated cases against Tibetans are being mounted in the complete absence of even the most basic legal oversight and due process," said Free Tibet spokesperson, Matt Whitticase. "International governments should be demanding immediate access to Chinese courts in Tibet for their consular staff based in Beijing as well as the re-opening of Tibet to the international media." China's state media claimed the trials were open and the defendants were represented by lawyers, but there was no way to assess this claim as access to Tibet is heavily restricted for foreign reporters. Don't you find it interesting that Barry gets the Nobel Peace Prize a couple of days after snubbing the Dali Lama? The Nobel prize is often seems to be given to the biggest crook/murderer who's recently done something that plays well (ex. like Kissinger) for rehabing their reputations. The decision came after China stepped up a campaign urging nations to shun the Tibetan spiritual leader. It means Mr Obama will become the first president not to welcome the Nobel peace prize winner to the White House since the Dalai Lama began visiting Washington in 1991. The Buddhist monk arrived in Washington on Monday for a week of meetings with Congressional leaders, celebrity supporters and interest groups, but the president will not see him until after he has made his first visit to China next month. Samdhong Rinpoche, the Tibetan prime minister-in-exile, has accused the United States and other Western nations of "appeasement" toward China as its economic weight grows. "Today, economic interests are much greater than other interests," he said. Mr Obama's decision dismayed human rights and Tibetan support groups, who said he had made an unnecessary concession to the Chinese, who regard the Dalai Lama as a "splittist", despite his calls for autonomy rather than independence for Tibet. The Chinese invaded in 1950, forcing the young leader to flee. Sophie Richardson, Asia advocate for Human Rights Watch, said: "Presidents always meets the Dalai Lama and what happens? Absolutely nothing. "This idea that if you are nice to the Chinese Communist Party up front you can cash in later is just wrong. If you lower the bar on human rights they will just move it lower and lower." Over several months of discussions the Tibetans resisted entreaties to delay the meeting, arguing that a refusal would make smaller countries more vulnerable to pressure from China not to meet the Dalai Lama. But they were told by US officials they wanted to work with China on critical issues, including nuclear weapons proliferation in North Korea and Iran, according to The Washington Post. Mr Obama then sent a delegation to the Dalai Lama's home in exile in India last month that confirmed the meeting would be deferred. Mr Obama has changed his position on Tibet since his election campaign. In April 2008, he was joined by Hillary Clinton, then his rival for the Democratic nomination and now his Secretary of State, in calling on George W Bush to boycott the Beijing Olympics opening ceremony in protest at the bloody repression of a popular uprising in Tibet. "If the Chinese do not take steps to help stop the genocide in Darfur and to respect the dignity, security, and human rights of the Tibetan people, then the President should boycott the opening ceremonies," they said. Mrs Clinton has been at the forefront of a new approach, called "strategic reassurance", which seeks a more amicable partnership with the emerging power. On her first trip to China in February she said public pressure on China over human rights was ill-advised as she "knew what the Chinese were going to say". Lodi Gyaltsen Gyari, the Washington-based special envoy to the Dalai Lama, issued a brief statement, saying: "We came to this arrangement because we believe that it is in our long-term interests." 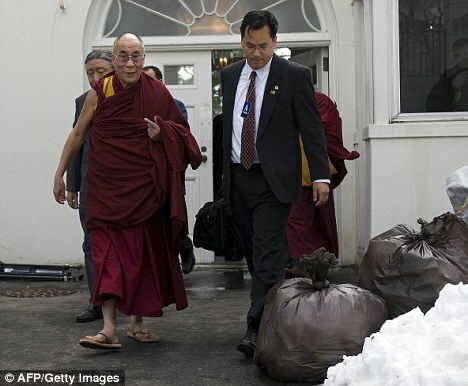 A White House official said the administration and the Tibetans had "agreed the timing would be best after the visit". The Tibetan leader's ten meetings with US presidents have played an important role in maintaining his international profile, even though they have never been filmed or followed by a press conference. The exception was 2007, when George W Bush conferred the Congressional Gold Medal, Congress's highest civilian award, on the Dalai Lama in front of the cameras. Frank Wolf, a Republican congressman and outspoken critic of China's human rights record, said: "What would a Buddhist monk or Buddhist nun in Drapchi prison think when he heard that President Obama, the president of the United States, is not going to meet with the Dalai Lama? "It's against the law to even have a picture of the Dalai Lama. I can almost hear the words of the Chinese guards saying to them that nobody cares about you in the United States." Ms Richardson said treating human rights as separate from other issues guaranteed failure "across the board". "If there is no explicit agreement to stop locking up environmental activists and whistle blowers then any environmental agreement will be weakened. "If the press in China is muzzled it won't investigate industrial safety and you will have more toxic toys coming to the United States," she said. Mr Obama was sound asleep in the White House when the Norwegian Nobel Committee made the shock announcement. It said that he was being honoured for his â€œextraordinary efforts to strengthen international diplomacy and co-operation between peoplesâ€�. In a clear swipe at his predecessor, George W. Bush, the committee praised the â€œchange in the international climateâ€� that the President had brought, along with his cherished goal of ridding the world of nuclear weapons. â€œOnly very rarely has a person to the same extent as Obama captured the world's attention and given its people hope for a better future,â€� it added. International reaction ranged from delight to disbelief. The former winners Kofi Annan and Desmond Tutu voiced praise, the latter lauding the Nobel Committeeâ€™s â€œsurprising but imaginative choiceâ€�. Mr Obamaâ€™s domestic critics leapt on the award as evidence of foreigners fawning over an untested â€œcelebrityâ€� leader. 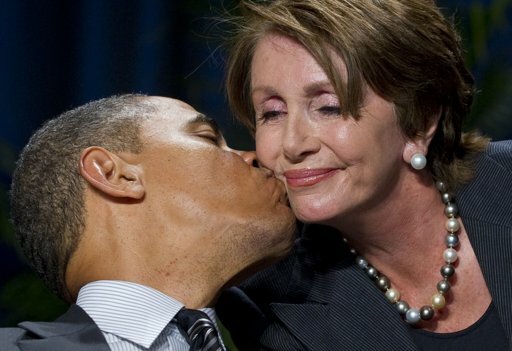 Rush Limbaugh, the US right-wing commentator, said: â€œThis fully exposes the illusion that is Barack Obama." Speaking later, Mr Obama said that he was â€œsurprised and deeply humbledâ€� by the unexpected decision and announced that he would donate the Â£880,000 prize, due to be awarded in December, to charity. â€œLet me be clear. I do not view it as recognition of my own accomplishments but rather as an affirmation of American leadership on behalf of aspirations held by people in all nations," he said. The Nobel Peace Prize is a notoriously difficult award to predict, but yesterday's decision was clearly a political choice, with three of the past six peace awards going to Bush adversaries. But Bobby Muller, who won the Nobel Prize as co-founder of the International Campaign to Ban Landmines, told The Times: "I don't have the highest regard for the thinking or process of the Nobel committee. Maybe Norway should give it to Sweden so they can more properly handle the Peace Prize along with all the other Nobel prizes." China has accused President Barack Obama of damaging relations by meeting the Dalai Lama. Mr Obama held a low-key meeting in the White House on Thursday with Tibet's exiled spiritual leader, who is regarded by China as a separatist, in the face of wider tensions over U.S. weapons sales to Taiwan, China's currency policies, trade disputes and Internet censorship. Chinese officials cut off mobile phone and internet connections to areas where Tibetans were shot dead amid unrest last month, state media has reported. Friday's English-language edition of the Global Times newspaper published a report from the region titled Monks Run Amok. The police chief of Luhuo in Ganzi â€“ a county known to Tibetans as Drango â€“ said police first tried to disperse rioters with high-power water guns and rubber bullets, but failed. A senior official in Chinese-ruled Tibet has ordered an increase in security at Buddhist monasteries and along key roads as the government tries to prevent protests spreading from neighbouring Tibetan communities. Inspecting security around the Tibetan capital of Lhasa this week, the city's Communist party secretary, Qi Zhala, warned officials and clerics at monasteries that they would be dismissed if any trouble arose and told police at a highway checkpoint to be alert for acts of sabotage. Officials "must profoundly recognise the important significance of preserving stability in temples and monasteries", the state-run Tibet Daily quoted Qi as saying. "Strive to realise the goal of 'no big incidents, no medium incidents and not even a small incident.'" The comments underscore China's nervousness as it tries to prevent the most serious outbreak of anti-government protests among Tibetans in nearly four years. Sichuan: Itâ€™s after 10 p.m. when we see a light in the distance. Weâ€™ve traveled for more than three hours up a windy, icy road in western China. Weâ€™re so close, only an hour or so away. And then the light. Within minutes, we grind to a halt. A policeman is flashing a flashlight in my face. Our Chinese driver is already outside the car. We wonâ€™t be going any farther tonight. Itâ€™s hard to get people to talk here. We see a group of young monks on a corner and wave them over. They agree to take us to their living quarters. Here in a tiny one bedroom apartment, four beds crammed against the walls and their food tied in sacks, the monks tell us they are verbally abused and harassed by police, pushed to breaking point. 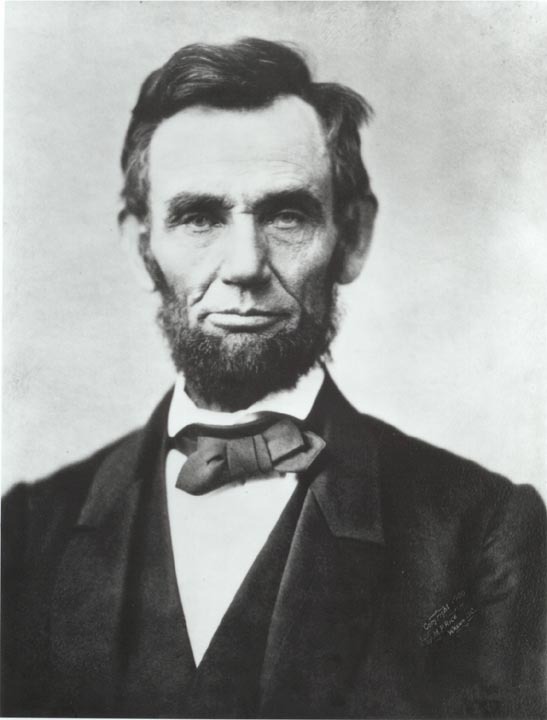 â€œI cannot bear it any longer â€“ any more,â€� says one. â€œWe want to go but we cannot, you can see all the security out there. Wherever you go, they see you. We cannot go anywhere,â€� he says. We ask if heâ€™s afraid, but he just looks at a picture of the Buddha, a smile on his face. Since last March, at least 16 Tibetans, mostly monks and nuns, have set themselves on fire in protest of Chinese government policies. Although initially these self-immolations were largely isolated to a Tibetan area in southwestern China, they have spread and grown in number. Between March and the end of September last year, four Tibetans set themselves on fire in protest. From October until the end of last month, another 12 followed in their footsteps. Four occurred in January alone. 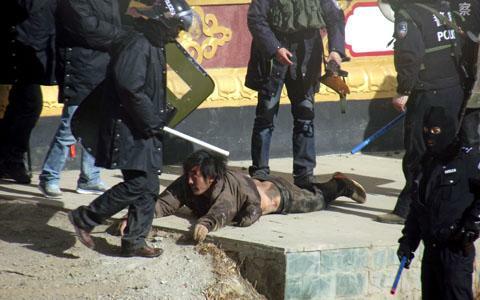 Last week, the Chinese police opened fire on Tibetan protesters, killing six and wounding at least 60, in Tibetan areas. With access to these areas being restricted and security tightened, these events follow a series of self-immolation incidents which occurred in Tibet recently. A press conference will be held concerning these latest developments. Ms. Dicki Chhoyang, Kalon for the Department of Information and International Relations will make a statement on behalf of the Central Tibetan Administration. So a Globalist and the Sino-Fascists are going to discuss human rights. Is this out of the ONION seriously ? Does anyone expect anything serious to come out ot it ? They're going to discuss Iran. Nobody will attack Iran without consent of Russia & China. "The future of politics will be decided in Asia"
AFP - China's ruling Communist Party aims to silence the voice of the Dalai Lama in his Tibetan homeland by tightening controls on media and the Internet, a top official said on Saturday. The party's top-ranking official in the Tibet region Chen Quanguo vowed to "ensure that the voices of hostile forces and the Dalai group are not seen or heard," in an editorial published in a party journal called Qiushi. Officials would "make sure that the voice of the party is heard and seen everywhere in this vast 120 million square kilometre region," Chen wrote in the editorial. China has worked for decades to control the spread of information in Tibet, but some Tibetans remain able to access non-official sources of information including from exiles abroad by using radio, television and the Internet. But the party will attempt to stamp out access to such sources by creating party cells in some websites, confiscating satellite dishes and registering telephone and Internet users by name, among a host of other measures mentioned in the article. 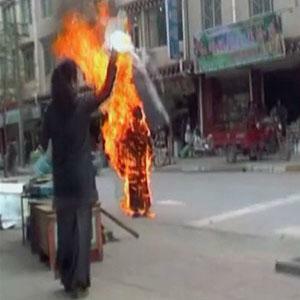 Tensions between Tibetans and the Chinese government continue run high, with more than 120 members of the minority setting themselves on fire in protest in recent years, leading to a security crackdown. Tibetans are amazing people. Peaceful people. A great movie on the Dalai Lama is 7 YEARS IN TIBET. Brad Pitt is the main star in the movie. A true story. THESE PEOPLE ARE PERSECUTED DAILY BY THE CHINESE. NOBODY DESERVES THIS TYPE OF TYRANNY. Telegrams sent by Soong Tes-ven, foreign minister of the Republic of China (ROC) during World War II, published over the weekend, showed that Kuomintang leader Chiang Kai-shek and U.S. President Franklin D. Roosevelt reached a consensus that Tibet was part of China's territory. The collection, compiled by professor Wu Jingping from the Shanghai-based Fudan University and Kuo Tai-chun, research fellow at the Hoover Institution of Stanford University, included telegrams sent in 1943, when Soong reported to Chiang the results of his discussion with British Prime Minister Winston S. Churchill over the Tibet issue at a Pacific Council meeting in Washington DC. In one of the telegrams, written in Chinese, Soong reported a dialogue between Roosevelt and Churchill. "Roosevelt said, 'I asked Churchill why did he mention Tibet at all, and he replied that Britain had no intention to occupy the region. I then said that Tibet had been part of China since imperial times and it is now part of the Republic of China, which had nothing to do with Britain.'" This exchange took place after the British India government attempted to intervene in a plan by the Chinese government in Tibet, said Chen Qianping, history professor at Nanjing University. According to Chen, Japanese troops invaded Myanmar (then known as Burma) in 1942, not long after the Pearl Harbor attack, cutting China's international supply route. "The government of Chiang Kai-shek planned to build a road from the then Xikang Province, or Kham, which encompassed the current western Sichuan Province and eastern Tibet Autonomous Region, to India via Yunnan and Tibet so as to transport international relief materials, " he said. But Britain, which had invaded Tibet in 1904 during its rule by the Qing government, expressed objections. A telegram by Soong to Chiang on May 21, 1943 said that the dissatisfied foreign minister had told Churchill: "In all the treaties China inked with Britain, the British government acknowledged Tibet as part of China. You should have known this." On the next day, he received a reply from Chiang, who strongly opposed Churchill's intervention in China's domestic affairs as well, and told Soong to ask the opinion of Roosevelt. On May 25, Soong sent another telegram to Chiang, which said: "I asserted that Tibet is under the sovereignty of China. Lord Halifax (who was the British ambassador to the United States) agreed. On the next day, President (Roosevelt) also noted Churchill was wrong ..."
Chen said: "From the telegrams, we can see clearly that President Roosevelt supported China's territorial integrity and was against arbitrary accusations over the Tibet issue by the then British government." Soong moved to the United States in 1949, where he lived as a Chinese national until his death in 1971. His family decided on April 26, 2004 to fully open all of the papers they had donated to the Hoover Institution Archives. That meant apart from the 39 boxes of papers already available to researchers at the archives since the 1970s, another 19 boxes were also opened "in the interests of fostering a more accurate understanding of their homeland," according to a notice on the Hoover Institution website. "It is our intention to maintain and restore the real history," said Kuo Tai-chun of the Hoover Institution. Hillary doesn't give a twit about Tibet issues..
She showed her face in public after Benghazi Americans killed-help denied-"what difference does it make"
They got rid of the Stevens crew and blamed Al-Q..Killed Two birds w/one stone. On track, Tibetans are not folks to be led by the nose, it is likened to a separate planet from China society. 2 points. Monks in Vietnam torched themselves, sacrificed their lives to end the genocide, the same as Tibet. Chinese were advisers in some cases in S.Vietnam, guys I knew had run ins with the Chinese military advs, they explained in vivid detail these guys were strait up physcos. I believe they were more afraid of their masters than the enemy, kinda like Genghis Khan ran his empire..Point, I can imagine how the the Tibetans feel. I don't cotton to powers picking on the Lil folks. Remember -Kissinger and Nixon meetings with Mao, the genocide artist, 30 million died..
A prominent Tibetan filmmaker, who was jailed for making a documentary about Tibetans living under Chinese rule and had been under police surveillance since his release three years ago, has fled to the United States after an â€œarduous and risky escapeâ€� from China, according to his supporters. Dhondup Wangchen, 43, arrived in San Francisco on Dec. 25 and was reunited with his wife and children, who were granted political asylum in the United States in 2012, according to Filming for Tibet, a group set up by Mr. Wangchenâ€™s cousin to push for his release. Mr. Wangchenâ€™s flight from China comes at a time of growing authoritarianism in the country under President Xi Jinping. Two rights activists have been tried and one more is expected to go on trial on subversion charges this week. Since Mr. Xi came to power in 2013, his administration has imprisoned human rights lawyers and cracked down on civil society. After his release from prison, Mr. Wangchen remained under heavy surveillance and his communications were monitored, according to Filming for Tibet. Mr. Wangchenâ€™s fellow filmmaker, Golog Jigme, a Tibetan Buddhist monk, fled China to India in 2014 and was granted political asylum in Switzerland a year later. For some reason, China has always hated Tibet. Maybe it is about their faith and spirituality. Temples are destroyed, their way of life ruined and wasted. And what do Tibetan Monks do? oh, drink yak tea and whirl prayer wheels... and, add so much to humanity.